The new redevelopment plans are dramatically different from the original proposal. Graphic courtesy Regency Centers. 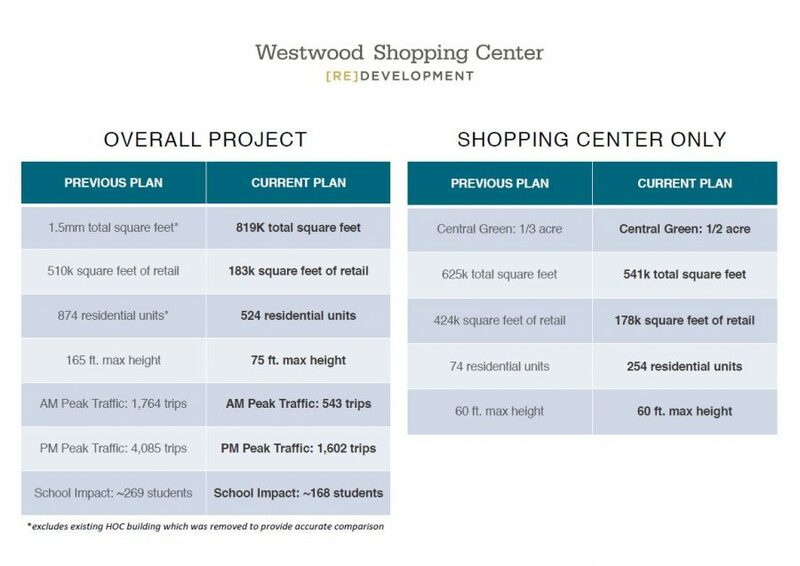 Regency Centers Corporation, a local real estate investment trust, announced revised plans for the Westbard development during a community meeting Jan. 31 at Westland Middle School. The new proposal suggests a one million square foot reduction from the original redevelopment plan. Last March, Regency merged with Equity One Developers, the company previously overseeing the redevelopment, and has reduced the original plan from 1.8 million square feet to around 820,000 square feet, according to Bethesda Beat. The altered plans involve several phases of development. The first phase includes replacing the current Westwood Shopping Center, constructing Springfield Community Park and adding 178 thousand square feet of retail shops and restaurants, 254 new residential units and a half-acre public green. If approved, the second phase would transform Westwood Center II, home of popular hangout spot Yirasai Sushi, into senior housing and the Manor Care area, across from the shopping center, into townhouses. These Montgomery County Zoning Board has yet to finalize or approve these plans. 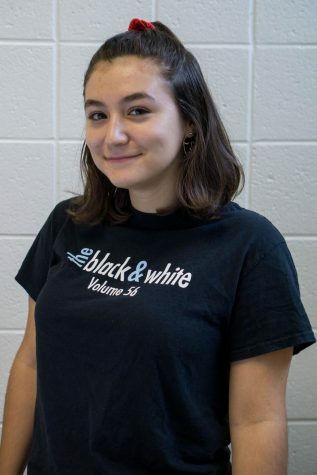 Some members of the Westbard community worry that redevelopment will increase overcrowding in local schools and exacerbate traffic problems along Westbard Avenue. One community group, Save Westbard, has filed an injunction against the new development in the hopes of stalling construction. The injunction requests a stop to the redevelopment plan until the group’s lawsuit, originally introduced in 2015, is decided by the Montgomery County Circuit Court. The suit aims to force the county to abide by a pre-2016 sector plan. The group’s main objections to the development include the increased stress on local schools and roads that would come with an increased number of residents and the lack of public transportation around the area. “Our local schools are overcrowded, our traffic is already unbearable, we have no metro access, our infrastructure is over-burdened, it’s not smart growth, and so on,” Save Westbard representative Patricia Kolesar wrote in an email. In addition, the original plan called for realigning a part of Westbard Avenue to ease new strain on residential streets, but Green doesn’t think that will happen under the new plan, exacerbating local concerns. Another concern is the fate of the Moses Cemetery, a historic African-American cemetery which allegedly lies under the parking lot of Westwood Towers, a local apartment building. Any plans to develop the Westwood Towers lot, which the Montgomery County Housing Opportunities Commission bought from Regency in December, would have to include an archaeological study of the site. Regency plans to submit a preliminary plan amendment and several site plans to the county in March. The company aims to break ground at the shopping center site in late 2019, according to Bethesda Beat.